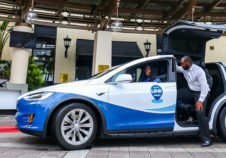 Incorporating on-demand transportation within traditional public transit services is a key aspect of our strategy, because it’s by guaranteeing fluid, seamless journeys that we will win over passengers and that public transit will gain in popularity! In 2016 we launched the BrengFlex solution in the Netherlands, which is today being deployed on three of the country’s public transit networks: a minor revolution in day-to-day mobility. Our Flex solutions are adapted to the needs of each town or city, complementing their own transit networks. 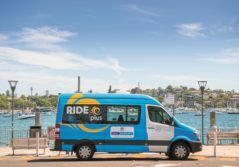 An extremely easy-to-use application gives passengers the possibility to reserve a place in one of the fleet’s low emission vehicles to take them to their bus stop. Our BrengFlex, BravoFlex and AMLFlex services use state-of-the-art technology to plan and optimize routes to ensure a fluid, hassle-free journey. The AMLFlex service, which serves the Amsterdam urban area, has quickly reached 9,000 passengers per month. We are particularly attentive to ensuring the quality of this transit service from the first to the last mile thanks to the detailed recording and analysis of passenger data. Constant feedback concerning travelers’ impressions helps us to quickly make any modifications needed to the service and to the proposed routes. Flex is also attentive to society’s more vulnerable citizens: the shuttles are equipped with an electric ramp and an area for wheelchairs. Retirement and nursing homes are often served, to guarantee mobility for elderly people. In the Netherlands, these services carry around 24,000 passengers each month; BrengFlex has even succeeded in winning over a large number of car drivers, who today account for 16% of its clients. 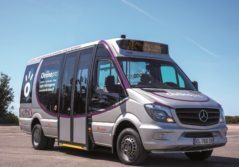 Transdev is working to change people’s way of thinking, by demonstrating that environmentally responsible mobility goes hand-in-hand with a pleasant and comfortable travel experience!